This is a saying from the Pali canon, upadhi dukkhassa mūlanti, which means “Attachment is the root of suffering.” So this is a genuine canonical quote. You’ll find it in this sutta, but translated by Thanissaro as “Acquisition is the root of stress.” His translations are rather idiosyncratic. 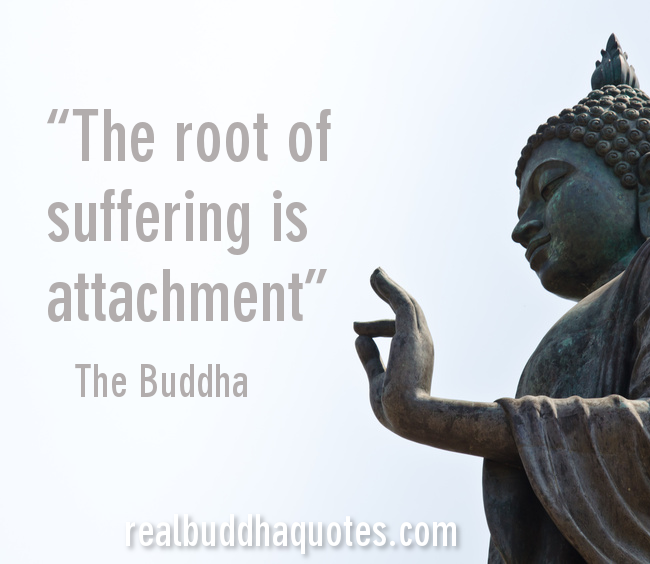 Bhikkhu Bodhi’s translation (not available online, but in The Middle Length Discourses of the Buddha, page 868) has “attachment is the root of suffering,” although he sometimes has “acquisition” in place of “attachment,” in various repetitions of the phrase. This quote was originally written in ‘Pali’ language. Its not Sanskrit. The version above is in Pali, but there would have been a Sanskrit version as well. The scriptures were written down in various parts of India at roughly the same time in different languages. Many of the Sanskrit originals have been lost, although many still exist in Chinese or Tibetan translations. I have been on the same quest as Paul. Trying to find this in Pali or Sanskrit. Thank you for your time.